In addition to core programming, Girl Guides have the opportunity to participate in challenges and activities according to their particular interests. The range of challenges and activities is vast: themes include science, the environment, arts, international issues and self-esteem. Upon completion of challenges, girls receive crests in recognition of their achievement. 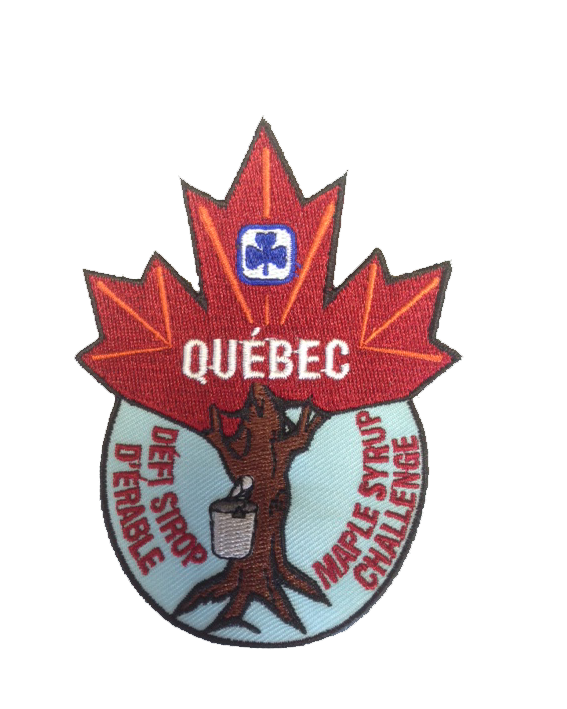 Take a look at the challenges that have been created by the Québec Program Advisers! Maple syrup is a staple across the wonderful country that is Canada. ​Tap into one of our national icons, learning about its history, where it’s produced, what you can make with it and much more! The	province	of	Québec	is	known	for	its	science	and	innovation. Companies	such	as Bombardier	and	Ubisoft have	put	us	on	the	map. The	Canadian	Space	Agency’s headquarters	in	St-Hubert	provided	equipment	for astronauts	to	land	on	the	moon	and	for robots	to	land	on	Mars. Our	provincial	parks	provide	grounds	for	all types	of	nature exploration. The	challenge	is	set	up	to	encourage	you	to	visit	one	or	more	of	the	scientific institutions throughout	Québec. However,	we	are	aware	that	this	isn’t	always	possible	or	ideal, so	each museum	or	science	centre has	one	or more	related	activities that	you	can	use	instead	or	to complement	a	visit. Girls, from Sparks to Rangers, with their Guiders, decide the goal and the level of commitment needed to devote to it – its success is defined by the girls! Invite others, learn new things, make a difference in your community, or make a change for the better in the environment. Document it so you are seen or heard and remembered for doing it! THAT’s the Québec Spin! 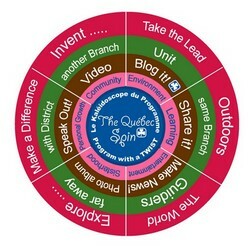 To complete your Québec Spin Challenge and order the central crest for your first challenge, or reward new twists on the Spin with additional segments, simply send in your Sharing – that Blog, article, or the video you created to: defiQCSpin@gmail.com and place your crest order. Looking for a bit of SPIN-spiration? Be sure to check out the QC Spin stories on our blog. 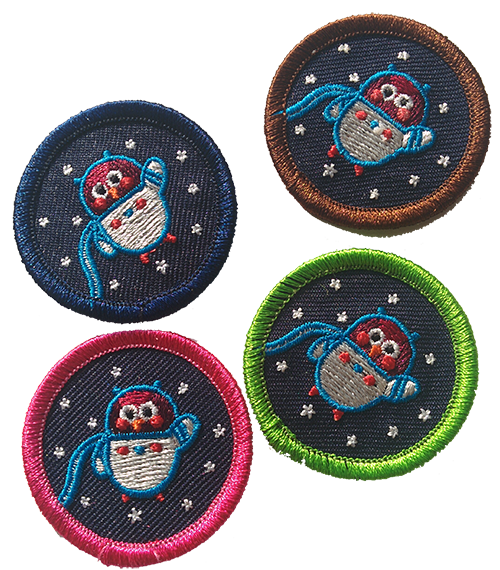 Read all about how other Guiding groups completed their spins! 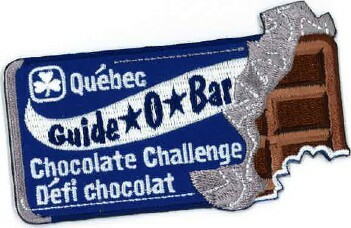 A classic Québec Challenge! To complete this challenge, all branches must do A or B and up to nine of the designated challenges. Sparks must complete three of the challenges, Brownies - five, Guides - seven, Pathfinders and Senior Branches - nine. 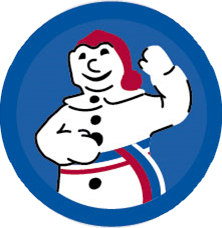 Québec is known around the world for joie de vivre - and we celebrate our love of life regularly! Look into some of the many festivals that take place all year round in the province. Festivals can be about music, dance, traditions, or local products when they come into season: ice fishing for les petits poissons des cheneaux (tommycod) in Ste-Anne-de-la-Pérade, blueberries in Lac St-Jean, and of course 'le temps des sucres' (sugaring off) in sugar shacks all over the province. St-Jean has hot air balloons, Brome Lake has its fair, and St-Tite has a big Western Festival, right down to a rodeo and cowboy hats!